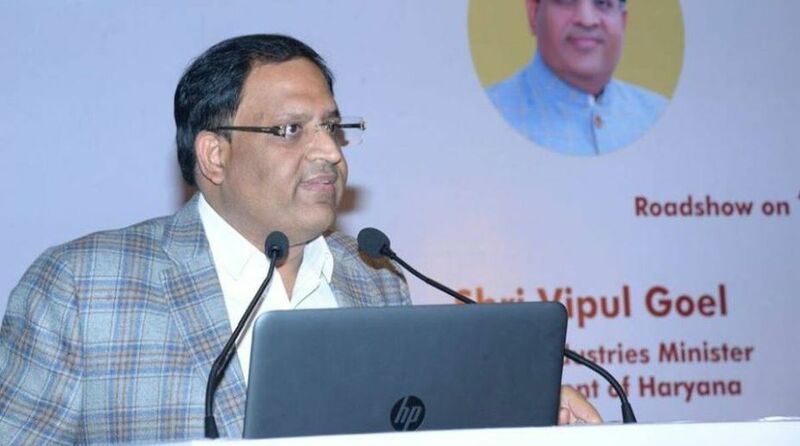 Haryana Industries and Commerce minister, Vipul Goel on Thursday said a total investment of Rs 80 thousand Crore has been materialised in the state during the tenure of the Manohar Lal Khattar government. Addressing a Press conference, Goel said the state government organised Happening Haryana, Investment Summit in 2015 and Pravasi Haryana Diwas in 2016, in which Investors all across the globe participated. Large number of memorandums of understanding (MoUs) were signed during both the events. Total 494 MoUs have been signed during Happening Haryana Event and onwards. Out of these total MoUs, on 173 MoUs, the project has either been implemented or is under implementation. The actual investment in these cases is about Rs. 14,314 Crore with employment opportunities for 25,923 persons. He said that despite lack of natural resources and distance of the state from the sea ports the performance of the State on the export front is commendable. The state started with exports of Rs 4.5 Crore during 1967-68, which increased to over Rs 82,566 Crore during 2016-17. Goel said that in 2015, the Haryana was at 14th position in Ease of Doing Business ranking. But regulatory reforms led the state to 6th position in 2016, making Haryana the leading improver in the country. “We are committed to provide best system and friendly environment to investors. Today, Haryana has bagged third position as per Ease of Doing Business Ranking – 2017 conducted by Department of Industrial Policy and Promotion (DIPP),” he said. 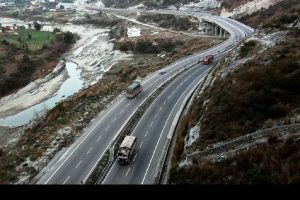 The minister said in order to ease the process of taking approvals, the State Government integrated the industrial related services with Haryana Enterprise Promotion Centre (HEPC)- Single Roof Mechanism and ensured that clearances are granted in 45 days, which were earlier not time bound. He said that out of 35869 applications received under Single Roof Mechanism for acceptance, except 57 applications sanctions were given to all others within 45 days. Goel said the government has started Samadhan Diwas to acquaint investors with various regulatory reforms, Single window clearances system, policies, key incentives, etc. The event is already organized at Panipat, Yamunanagar, Rohtak and Bahadurgarh, Ambala, Sonepat and Karnal and Kurukshetra. In all, 171 issues have been raised by the investors of which 57 have already been addressed and 85 are in process of addressing.